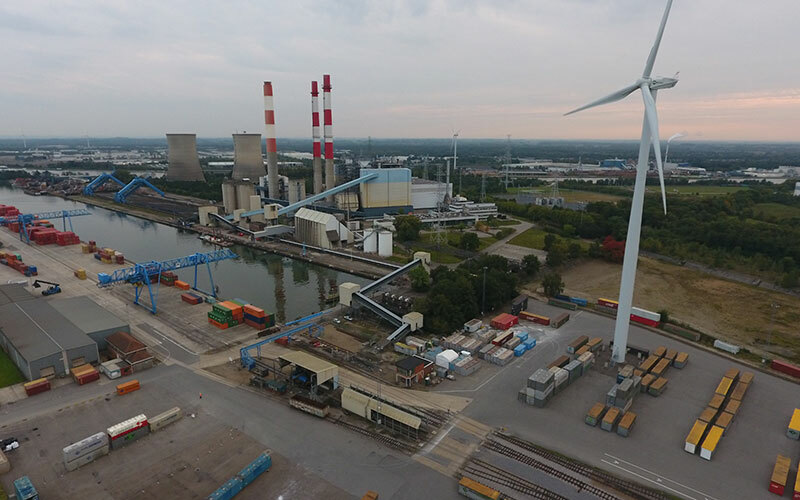 In 1997, Group Machiels and ArcelorMittal took over the coal port in Genk and, following a conversion of the coal port into a tri-modal container terminal, changed the name to Haven Genk. 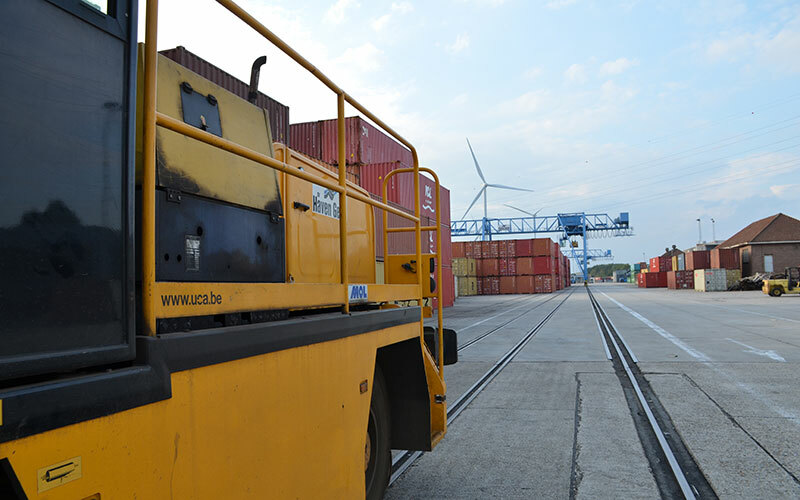 The port of Genk is now a key link in tri-modal transport. 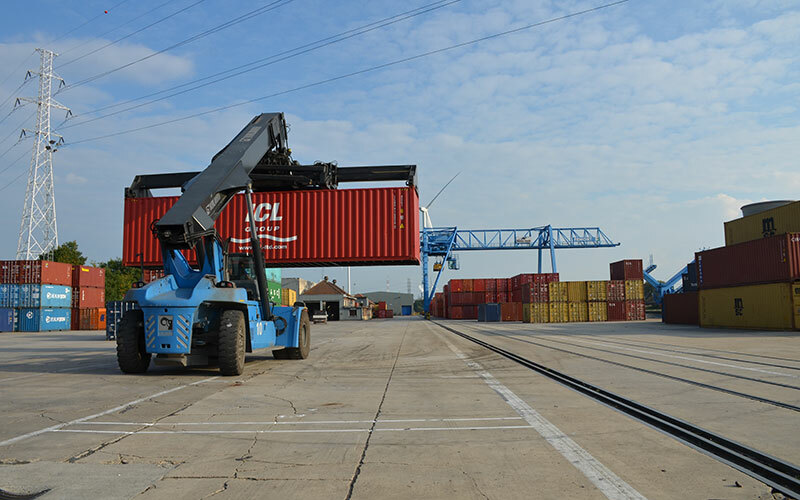 Containers and goods brought in by barges are transferred to trains or trucks, and vice versa. 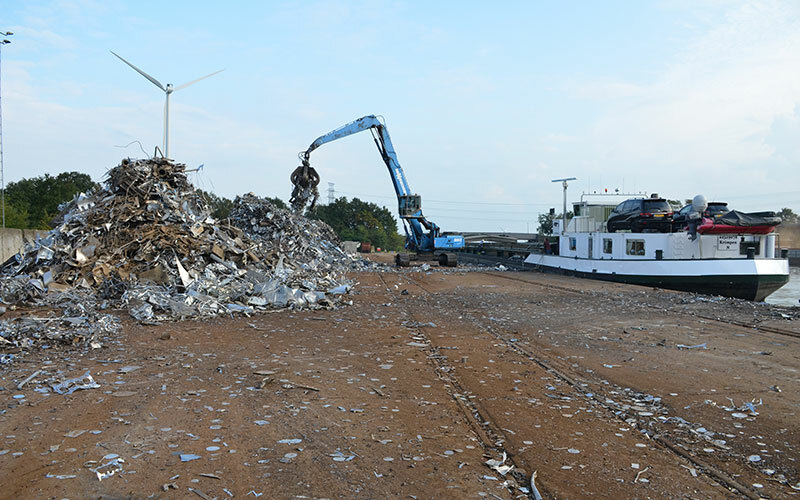 The port also has the necessary infrastructure for temporary storage of these containers and goods – metal ores, minerals, big bags, granite, rice, maize. 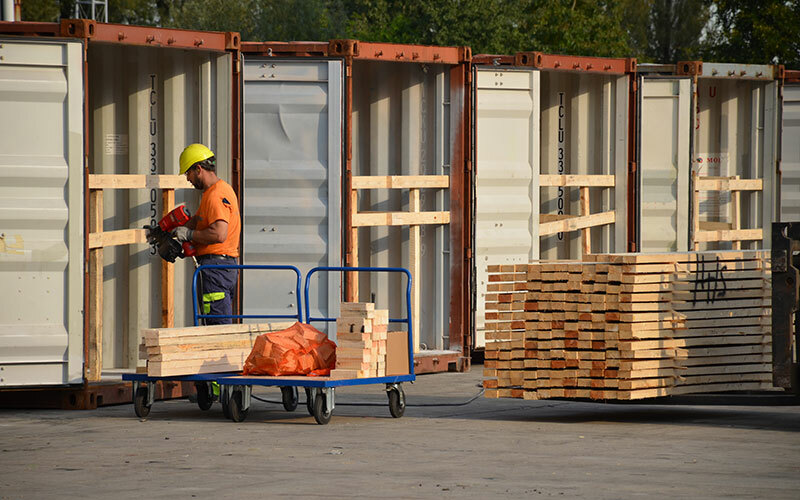 Every day, Haven Genk transports containers to and from the surrounding sea ports at attractive prices with a daily regular shuttle service via its Barge Terminal. There are 6 departures and 6 arrivals a week to and from Antwerp. Passages to and from Rotterdam are available on request. 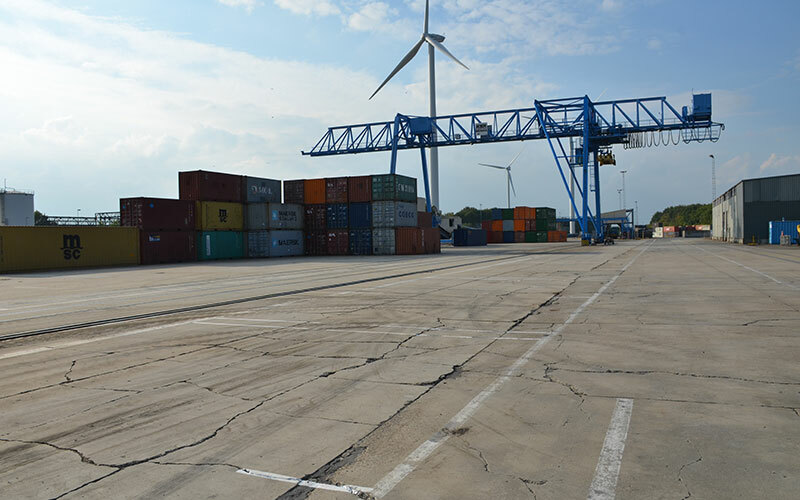 The Barge Terminal has a total area of 7 hectares with a quay length of 500 metres. 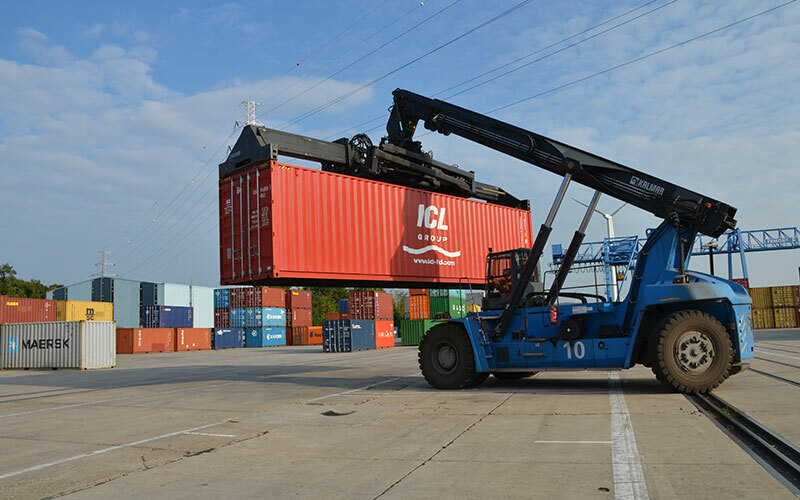 The transshipment capacity is 80,000 TEU per annum and storage capacity is 5,000 TEU. 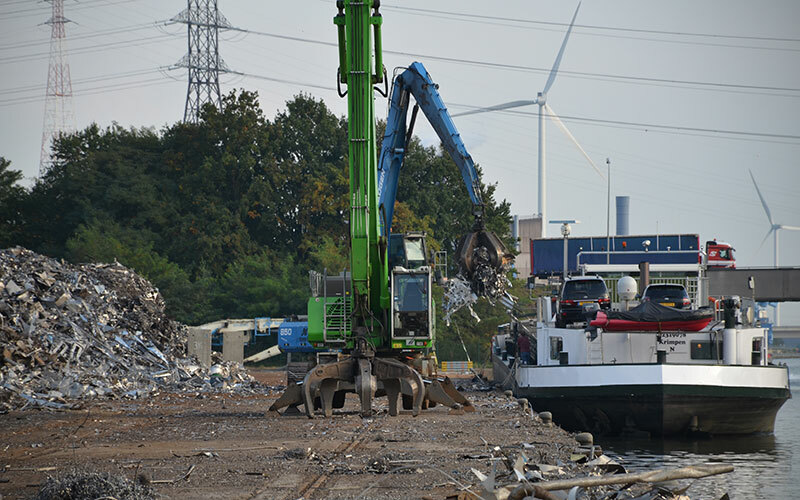 Stuffing/stripping of containers. Haven Genk has the equipment to move palletised goods, crates, big bags, steel coils and sheets, blocks of natural stone, etc. into and out of containers. 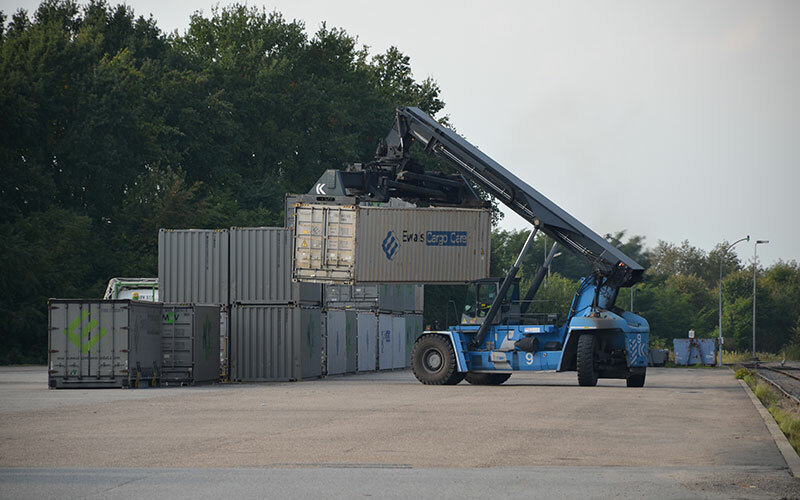 Haven Genk then seals the containers and provides the necessary administration. 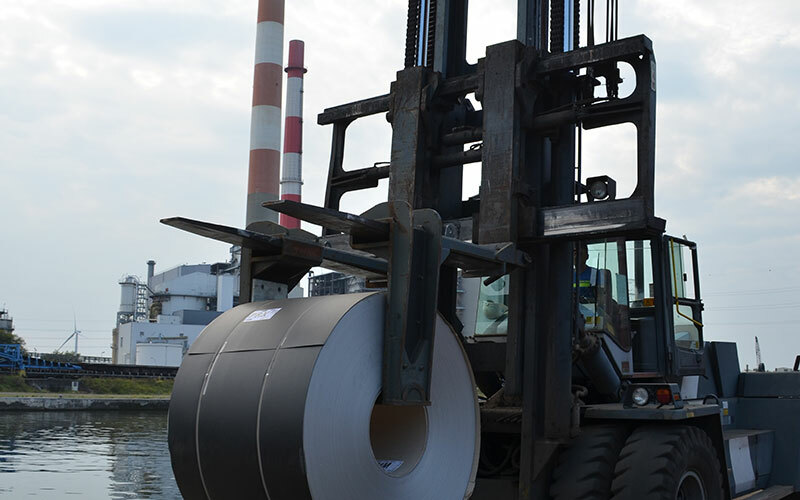 This department handles all the formalities with the other parties as well as the full co-ordination of shipments worldwide, including pre-shipping and onward transport. Pre/On Carriage. Haven Genk has a road transport department, which means that the customer does not need to modify its operations if it wants to use lightweight transport. 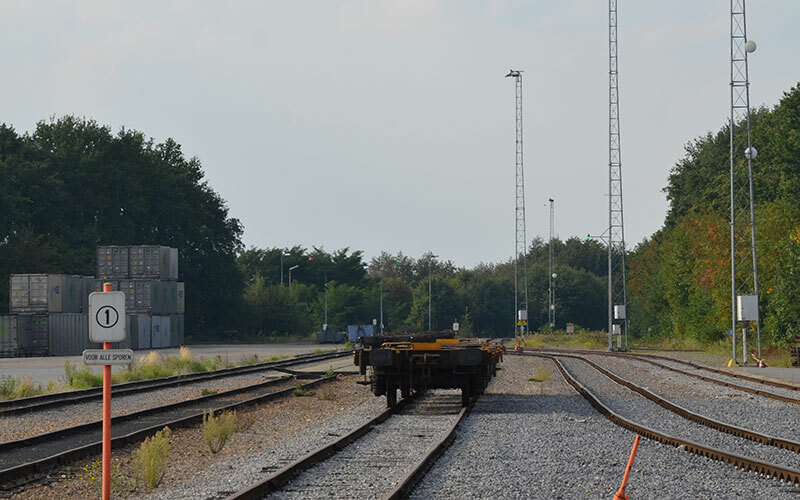 Haven Genk has its own rail terminal which is connected to the Belgian rail network and handles both shuttle trains with containers, swap bodies and trailers, and ad hoc shipments with conventional rolling stock. The port can also handle shunting and formation of trains. 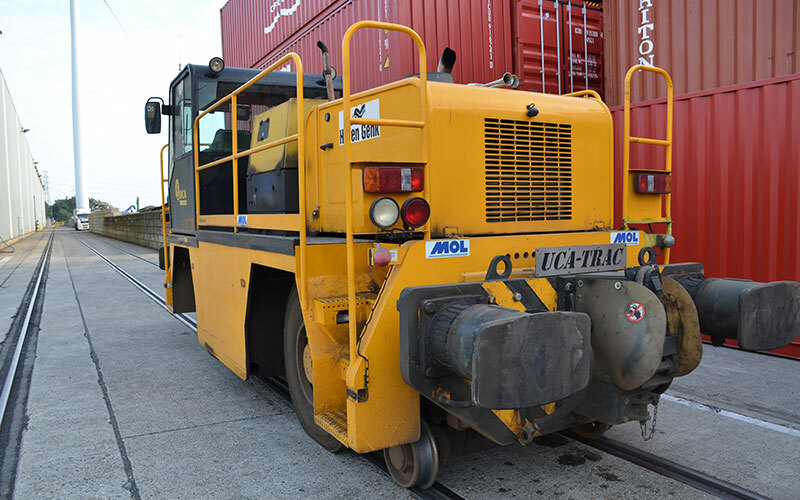 The Rail Terminal has a total area of 5 hectares, 7 km of track, 4 reach stackers and 2 shunters. 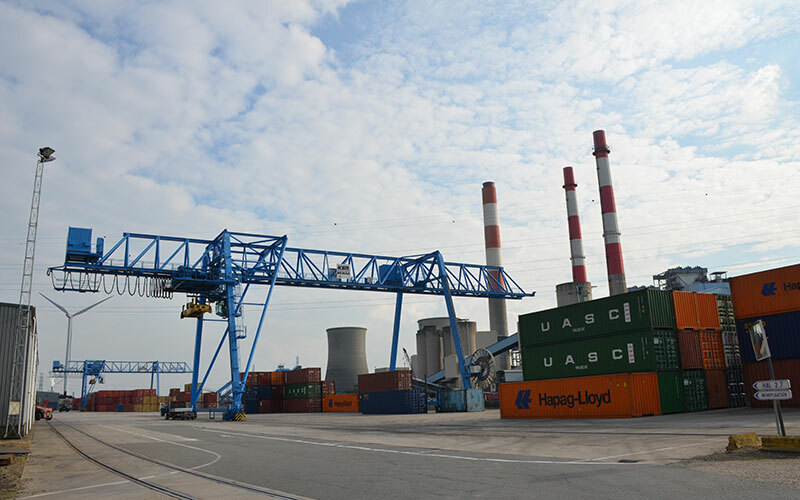 Haven Genk also provides storage and transshipment of bulk and general cargo. It has covered storage capacity of 8000 m2 and open-air storage capacity of 10,000 m2. 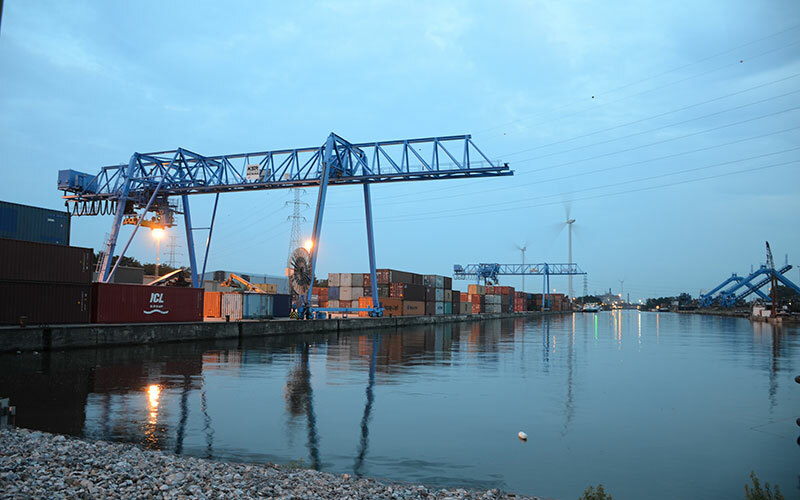 The port has gantry cranes, mobile transshipment cranes, wheel loaders and weighbridges. 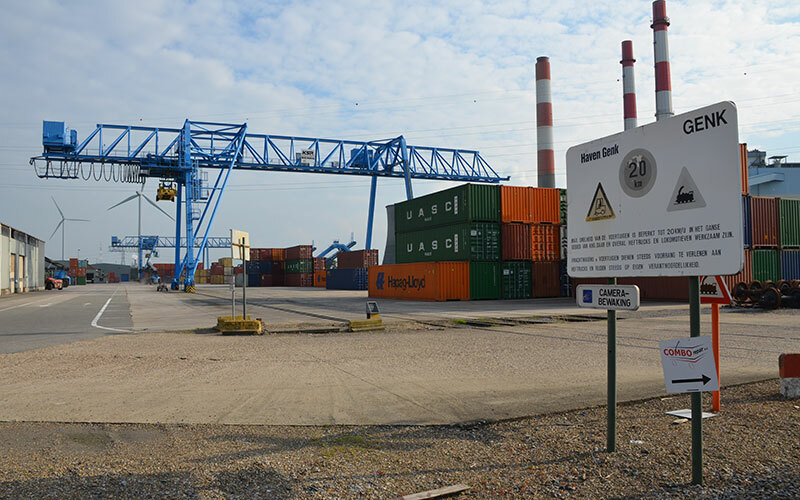 Haven Genk NV will also develop the Regional Transshipment Centre at the former Ford site. 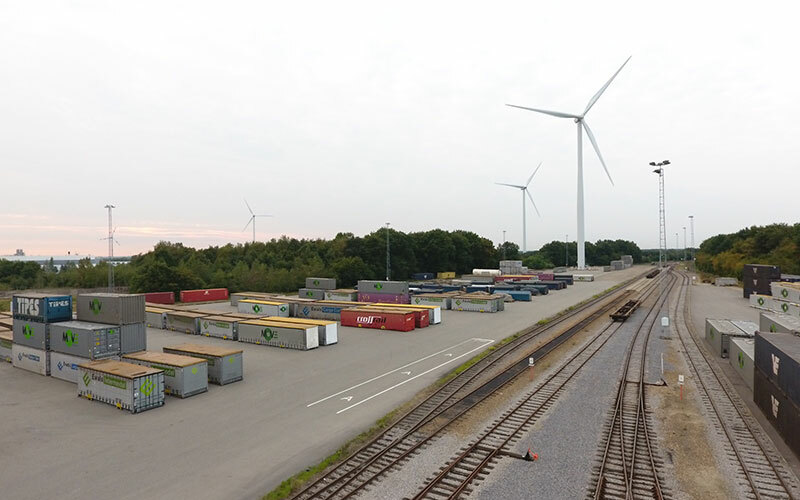 It will provide highly competitive transshipment services for the entire site – companies in Ford zone C, Ford zone B (Genk Green Logistics) – and the wider region.